Find a Mentalist / Mind Reader for hire near you in minutes! Option 1. Enter your event location below & contact a Mentalist / Mind Reader directly! Option 2. Request multiple quotes from available Mentalists & Mind Readers Get Quotes! Option 3. Read information & advice on hiring Mentalists & Mind Readers Read Advice! WANT TO KNOW MORE ABOUT MENTALISTS AND MIND READERS? Read on for the most comprehensive guide to booking Mentalists and Mind Readers, including how much a Mentalist and a Mind Reader will costs, exactly what they will do at your event, plus tips, advice and information to help make your event one to remember! Mentalists and Mind Readers will dazzle and bewilder your audience members with mental abilities and subliminal powers of suggestion that will have your crowd shocked in amazement! 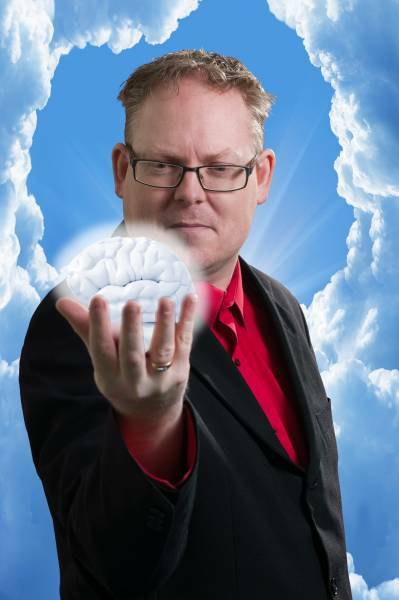 What exactly will a Mentalist / Mind Reader do at your event? Both Mentalists and Mind Readers can perform a spectacular magic show that will stun your guests. A Mentalist is a specialist strand of Magician who will use ’tells’ and observational skills to find out all they can about your guests! By simply exploring the micro-expressions of an audience member, the Mentalist can blow everyone's minds with truths that a perfect stranger couldn’t possibly know! A Mind Reader will use subliminal techniques and all sorts of sleight of hand trickery to read the minds of people in the crowd! They will use mentalism tricks, psychology and body language reading to win over your guests! When you think of professional Mind Reading, you may think of the magic trick where the Mind Reader will guess the card you’ve picked? Well, this is certainly one of the best known Mind Reading tricks, but also, a modern Mind Reader will do so much more! If you know somebody who’s adamant that the wool can’t be pulled over their eyes, then hire a Mind Reader or a Mentalist and they will most definitely prove them wrong! Mainly, a Mentalist or Mind Reader will entertain your audience with a fantastic live show that will put the wow factor into celebrations and impress your guests, whatever their entertainment tastes may be. What event types are Mentalists and Mind Readers hired for? The Mentalist or Mind Reader can work as walkabout entertainment where they will perform their specialist brand of magic and illusion to your friends and family at the wedding drinks reception. The Mentalist or Mind Reader will tell your guests upbeat truths and facts about them that will leave them genuinely awe-inspired and may also give them encouragement and confidence on certain situations! Hire a Mentalist or Mind Reader for your wedding breakfast and they can be set up to perform table magic that will leave your family and friends utterly spellbound! The Mind Reader can glide from table to table, captivating the guests whilst awaiting the bride and groom. This way, your guests will be kept entertained before the wedding speeches! Hire a Mentalist or Mind Reader for your wedding evening reception entertainment and you will be enthralled and bewitched at the magic that will unfold! The mystery that surrounds Mentalists and Mind Readers still captivates people of all ages. Imagine the Mind Reader performing similar routines to that of a Clairvoyant and channeling what’s in your mind! A Mentalist or Mind Reader can act as the main stage entertainment for the wedding evening reception, or as mentioned, they can perform as walkabout magicians too! If you’re looking to hire an ice breaker for your corporate event, then you can’t get much better than a mix and mingle Mentalist or Mind Reader! Book a Mentalist or Mind Reader to challenge and thrill your colleagues and clients at your work bash and everybody in the office will be talking about it the next day! A mix and mingle Mentalist will make everybody feel relaxed and although they will perform magic tricks and tricks of the mind, they will never make anyone look like a fool! This form of magic is performed with respect to anyone who participates. A Mentalist will perform great tricks such as requesting the participant to think of a word, and within a few minutes the guest will be stunned as the Mentalist reveals what the word is! Mentalists and Mind Readers are great entertainers for other corporate event such as trade shows, product launches and shop openings. Maybe you are looking for entertainment for your work's award ceremony or university party? A Mentalist and a Mind Reader will astonish all with illusions and psychic powers! 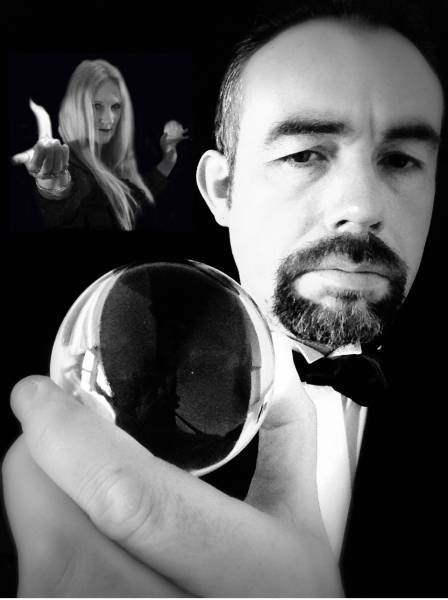 Have you considered booking a Mentalist or Mind Reader for your party entertainment?! Hire this powerful form of entertainment and your party will be the talk of the town! Maybe you are hosting a magic themed party and you are looking for that perfect mix and mingle entertainer to hire? Well, a Mentalist or a Mind Reader would be ideal at, say, a Harry Potter themed party! Or maybe you are hosting a circus themed party? A Mentalist or Mind Reader will fit right in with a party that’s a bit off the wall! How much do Mentalists and Mind Readers cost to hire? Our simple to use entertainment directory allows you to firstly search for the best Mentalists and Mind Readers who are local (or travel to your area) and then via the contact form you may message them directly to enquire for a no obligation quote to perform at your event. Some acts will also add a rough price guide to their profile for your convenience. What are the usual set formats and performance lengths for Mentalists and Mind Readerss? A Mentalist and Mind Reader can tailor their performance to times to suit you and your event, however, on average a professional Mentalist or Mind Reader will perform two hours sets. How much space will Mentalists and Mind Readers need at your event? This totally depends on what type of event you are hosting. Mentalists and Mind Readers can perform on a main stage and put on a proper magic show, to they can perform their tricks via table magic (close-up magic) We advise to use our personal messaging service so you can speak with the Mentalist or Mind Reader personally. What equipment and set up requirements do Mentalists and Mind Readers need? As with most artists who sign up to Entertainersworldwide.com, both Mentalist and Mind Readers will provide all of their own equipment. You may want to enquire if an artist needs a PA to amplify their sound, in which case we would advise to use our easy to use messaging service to find out. We do ask that each performer gets a backstage area in which they can prepare for the performance ahead. If your venue does not have a backstage area, then we kindly ask that you enquire with the venue to seek an alternative space in which the performer can comfortably get ready to entertain. How can you find and book a Mentalists and Mind Readers with Entertainersworldwide.com?